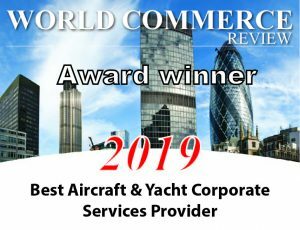 Knox House Trust (“KHT”) is delighted to announce that it has been named the Best Aircraft and Yacht Corporate Services Provider (CSP) in World Commerce Review’s awards for the third year running. The awards celebrate achievement, innovation and excellence across a broad spectrum of business markets, and are recognised as a principal indication of professional conduct and excellence. The awards also celebrated further Isle of Man service excellence and expertise, with both the Isle of Man Aircraft Registry and the Isle of Man Ship Registry picking up awards for Best Global Aviation Registry and Best Shipping registry.